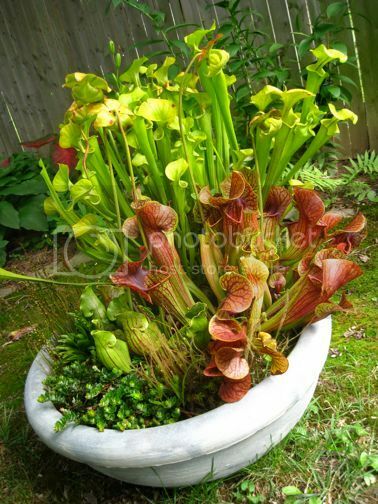 This Thursday August 5th at Observatory, Lord Whimsy, as part of his lecture "Nature as Miniaturist: An Illustrated Survey of the Bogs of Southern New Jersey" will be displaying the epic carnivorous plant-filled container bog seen above. Said bog is also, as it turns out, for sale; you can even take it home with you after Thursday's event if so inclined! Full info follows, as found on Lord Whimsy's website; if you are interested, you can email Whimsy at email [at] lordwhimsy.com. Mr. Bill Smith was kind enough to lend one of his container bogs (pictured above) for my Observatory talk this Thursday night in Brooklyn. He would like to inform you folks out in the netiverse that he is offering this three year-old bog garden for sale at the very reasonable price of $200--an excellent bargain, since purchasing these mature plants separately would cost considerably more. The container is hollow resin, and can be left outside year-round without worry of cracking. 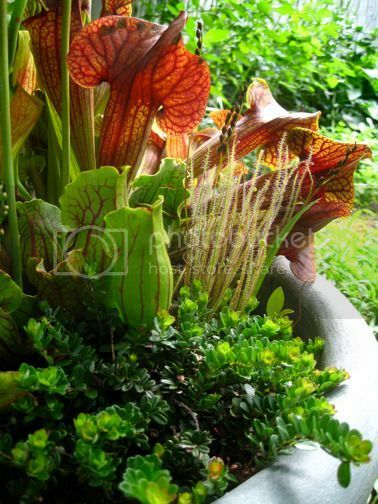 The plants in the bog include: Purple Pitcher Plant (Sarracenia purpurea 'Jersey Girl'), Yellow Trumpet Pitcher (S. flava), Catesby's S. purpurea x S. flava hybrid pitcher plant (S. x Catesbei), Grass Pink Orchid (Calopogon tuberosus), 'Hamilton' dwarf cranberry, Spade leafed sundew (Drosera intermedia), and Thread leafed sundew (D. filiformis). A marvelous, mature grouping of classic North American bog plants, suitable for rooftop gardens and decks. No fertilizer necessary. Very low maintenance: just keep in full sun with regular waterings. Can be left outside year-round. All plants are cold hardy in zone 6b. Interested parties may contact me (email [at] lordwhimsy.com) and claim their purchase after my lecture on Thursday evening. 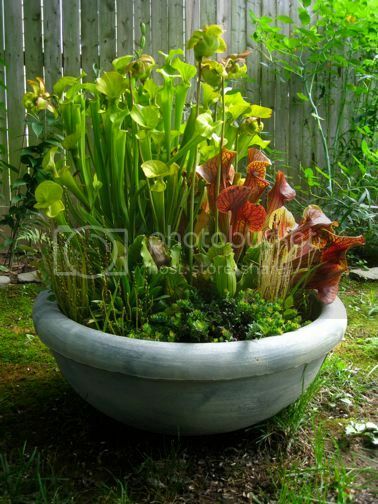 Similar container bogs of all sizes can be had at Rarefind Nursery. You can find out more about Lord Whimsy's presentation here. You can get directions to Observatory--which is next door to the Morbid Anatomy Library (more on that here)--by clicking here. You can find out more about Observatory here, join our mailing list by clicking here, and join us on Facebook by clicking here.